Did you ever see a stunning china pattern that you absolutely had to have, but it was extremely pricey? What makes a china set seem so expensive is the perception that you need to buy service for twelve. But what if you only buy two place settings? That dinner plate that seemed so expensive when buying multiples is suddenly a lot more affordable when setting a table for two. This is what making compromises is all about when decorating a home. Often we need to temper our impulses and settle for something less costly than what we really wanted. 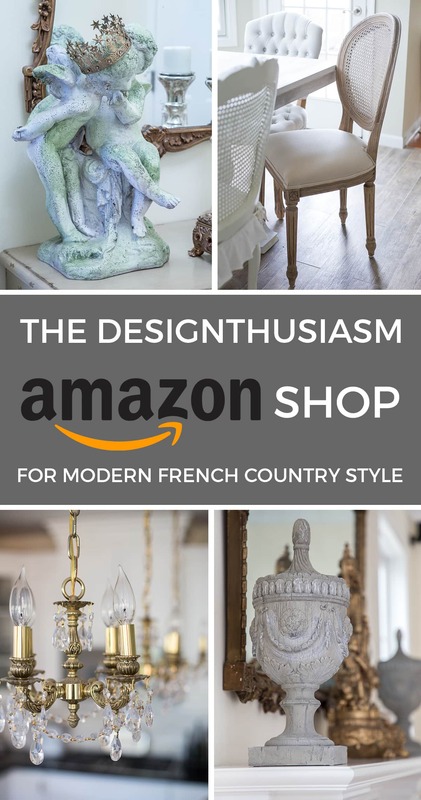 If we shop carefully, we can usually find a reasonable substitute that preserves the spirit of the look we were going for, but is far more budget-friendly. But every so often, it’s nice to splurge on the real thing. In those cases, if you can buy a lesser quantity or smaller size, you may find you can afford what seemed out of the question at first glance. For this table setting, that was exactly my approach. 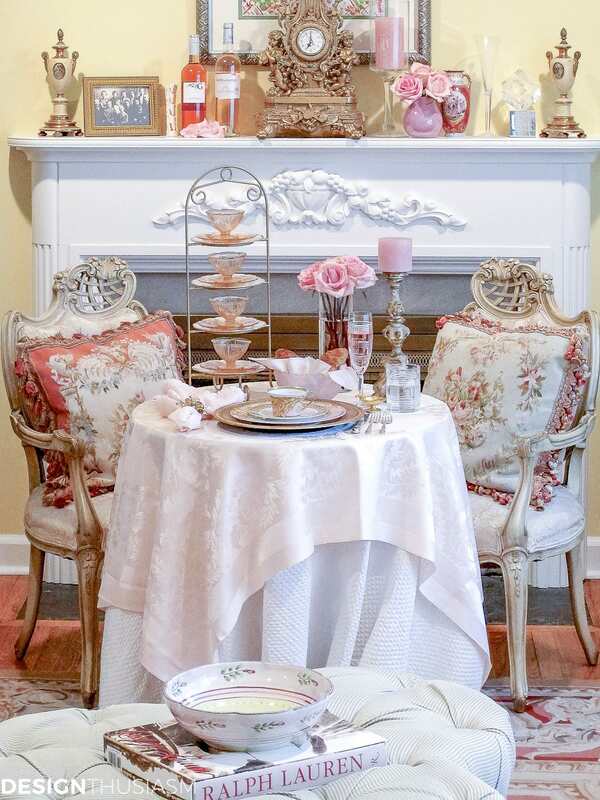 I fell in love with this fabulous china pattern and decided to set a small bistro table near the fireplace for an elegant afternoon tea party. The table setting is built around Versace’s Byzantine Dreams dinnerware, by Rosenthal China. 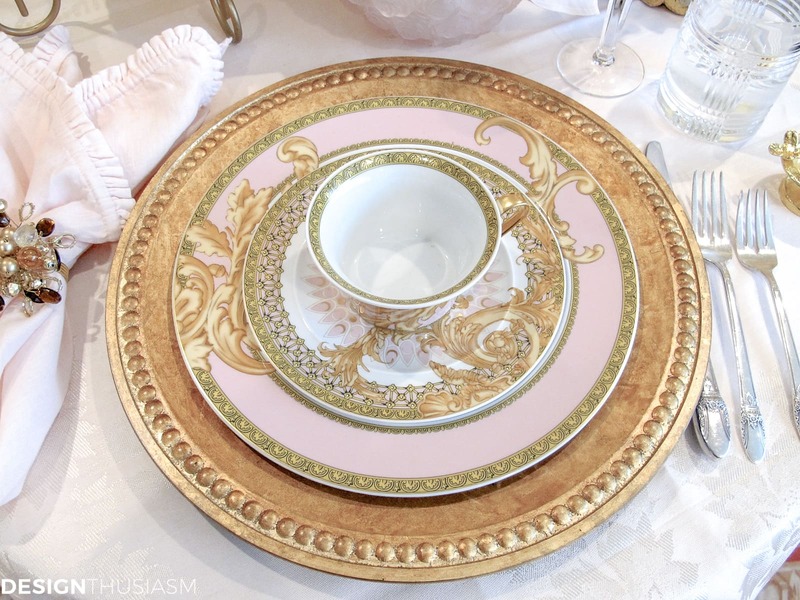 The Versace plates mix a gentle blush pink with a warm gold and the regal pattern offers a rich base for this special, albeit petite, tablescape. A closer view of the plate stack reveals the beauty of the pattern mix, set against the gilded chargers. Vintage silver flatware holds its own alongside the prominent place setting. 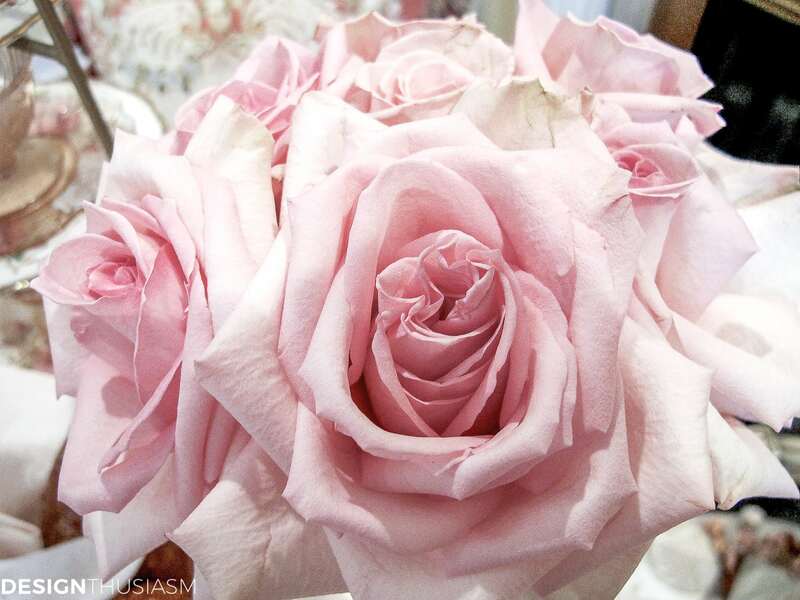 Soft pink roses add a touch of quiet elegance and pretty simplicity, all that’s necessary on this opulent stage. The blush linen napkin with its delicate ruffle has shown its versatility in a range of settings I’ve done. 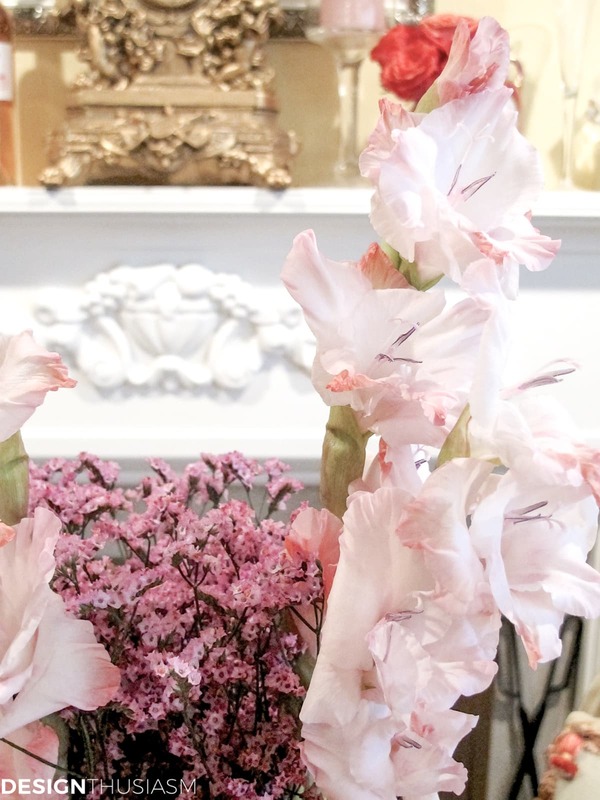 The washed linen can lean casual, while the whisper of pink sits well dressed-up, too. 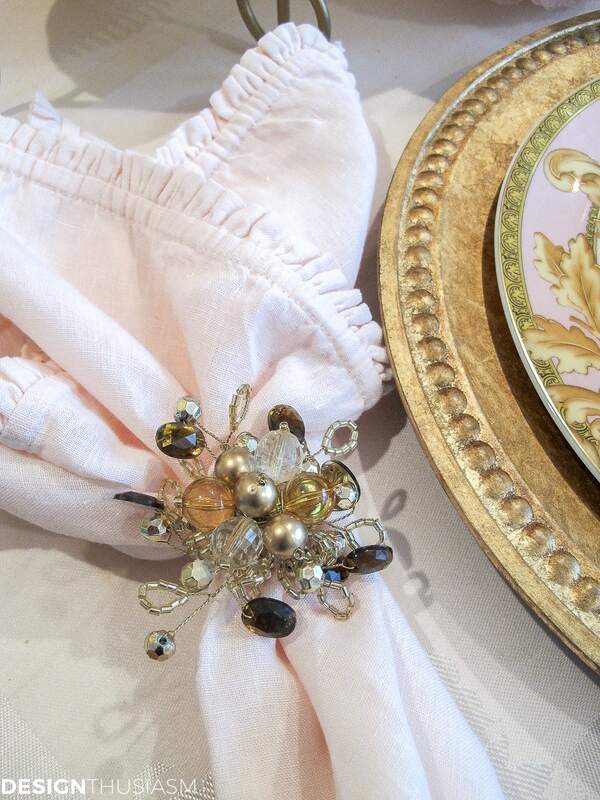 Bejeweled napkin rings in amber tones work perfectly with the theme. 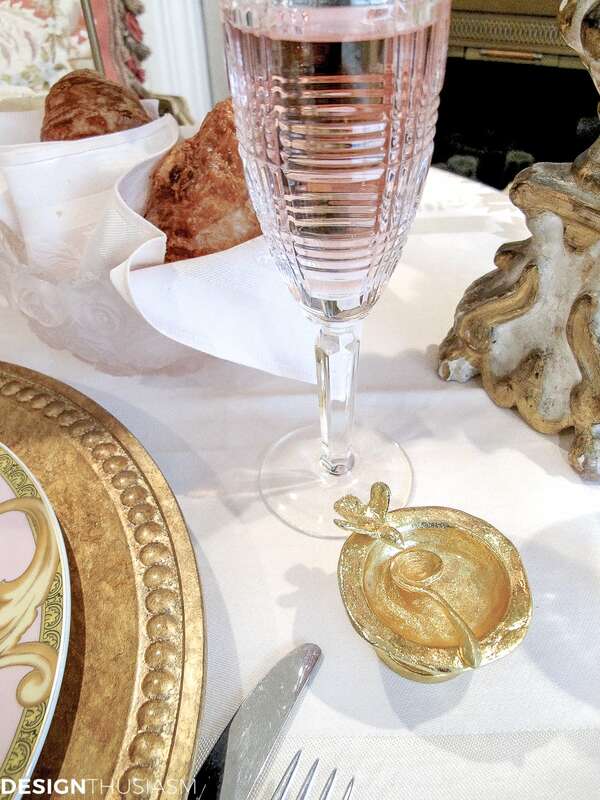 Croissants and pink champagne are perhaps more suggestive of brunch than tea, but fit nicely amidst the well bred elements on the bistro table. In fact, a lunch for two is another wonderful way to use an abbreviated set of china in a practical way. A pink depression glass dessert set is presented on the plate stand. French Aubusson pillows add comfort and a touch of color to the scene. The tablecloth is vintage blush damask. The gorgeous pink bowl is crystal cut in a rose pattern and the damask napkin matches the vintage tablecloth. The golden birdbath is a salt cellar and it’s diminutive size doesn’t take away from its stunning impact. In glints in the sunlit room and its newness contrasts the 17th century church candlestick glimpsed behind it. Glen plaid champagne flutes and water glasses round out the elegant scene. 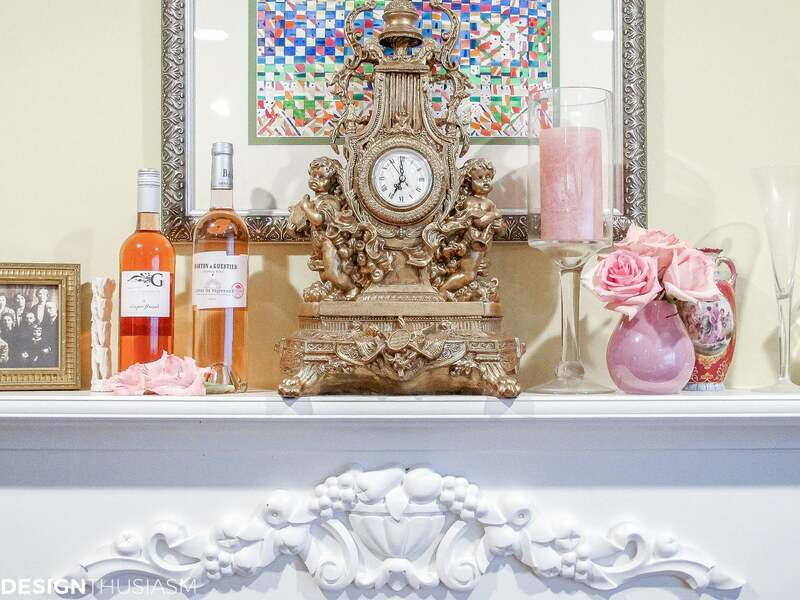 A gilded clock on the mantle is flanked by lovely bits of pink, from candles and roses, to blush wines from Provence. 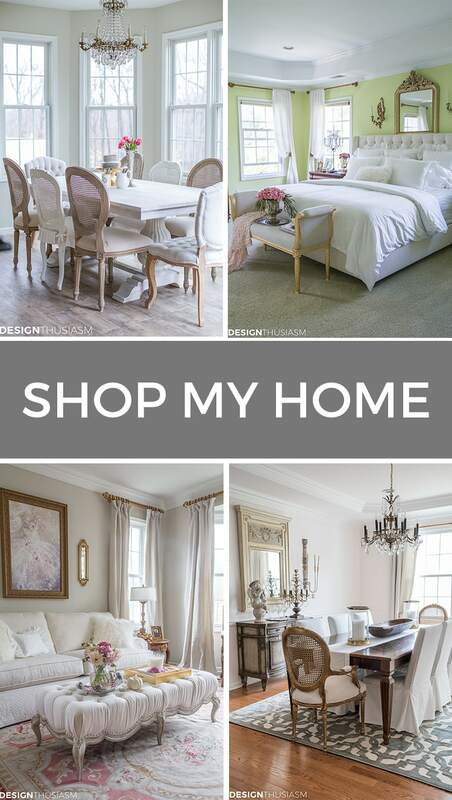 The pattern you pick might be very different than mine, but the point is that you can indulge in this small luxury if you limit the number of pieces of china you buy. You can always add to the set in later years, but it’s also fine to keep this little pleasure a one time thing. 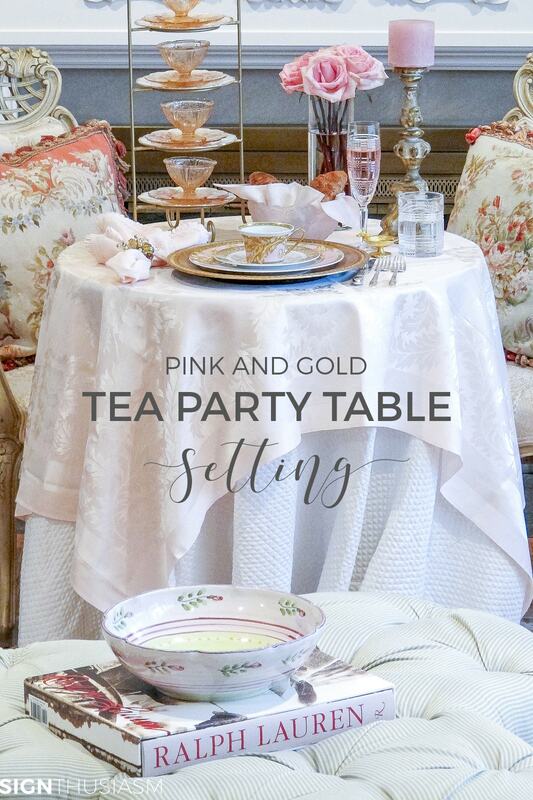 Next time you’re having a friend over for an intimate get together, consider a dainty table with pink and gold Versace plates or the indulgence of your choice! Gorgeous as always Lory. Love the tiered rack for your teacups. The mantel looks fabulous! A beautiful spot for two to enjoy a lovely tea. Everything looks so beautiful Lory! I love those pillows in the chairs. I love tea time! If you get a chance, I’d love for you to share at my Twirl & Take a Bow Party at http://www.houseontheway.com. Have a great week! 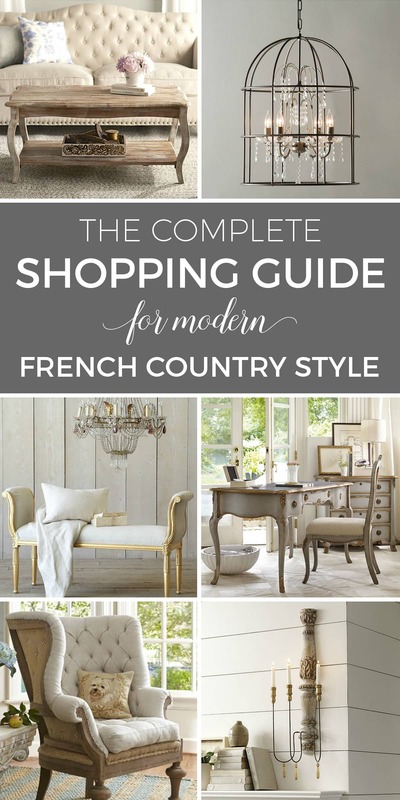 The Ralph Lauren glassware is stunning! It is all incredibly elegant! Here’s to always having extra wine on your mantel!! I will toast that any day! 🙂 Thanks! This is such fabulous china! I love the combination of pink and gold, it is so unusual. Those little salt cellars are so unusual too! Another wonderful pink for Breast Cancer Awareness! Oh this tablescape is absolutely GORGEOUS! I would absolutely adore having tea in that beautiful pink beauty! Your photo are so stunning! I absolutely love this elegant style! Beautiful! That china is to die for! 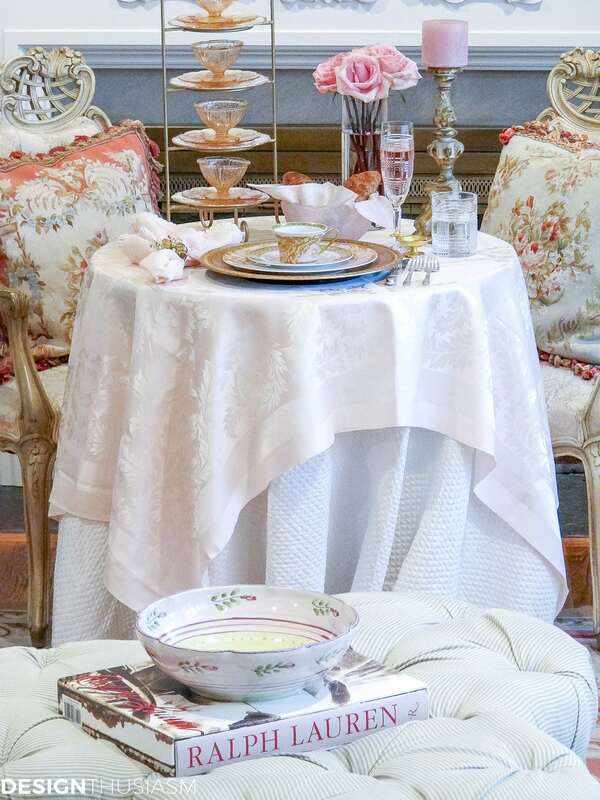 Lory, The table is beautiful and I love the pretty China and aubusson pillows. Wow. I am drooling over here. This is one of the most elegant and feminine tea settings I have ever seen. I love all the attention to detail. Simply stunning. Wow, thanks for the kind words, Janet!! So pretty Lory!! Love your mix of colors- that pink and gold… sigh!! Beautiful! Thank you for linking up at Feathered Nest Friday! Stunning ideas! 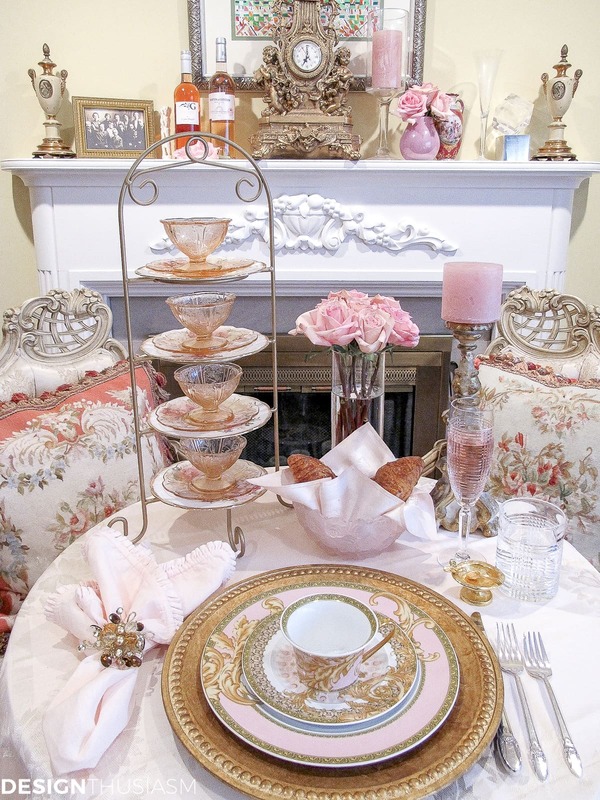 I love all that pink table for tea, the china and those pillows!. Gorgeous RL glassware and I love everything from RL. Completely lovely! I love pink depression glass. The blush pink is so beautiful with gold! Can’t help but confess that back in the day I had fallen in love with a set of dishes with a cobalt blue and gold rim. Can’t remember the name of the pattern but the price tag was about $160.00. I saved up for quite a while and finally went to buy my set of dishes. The sales lady then burst my bubble telling me that the cost was for one place setting. I laugh now to think of how foolish I must have seemed. I never did get an expensive set of china and made do with a set (made in China). It is lovely though and I just unpacked it after moving here 3 years ago. Sadly I do not have anywhere to display it here, but it holds many memories of family meals. Its pattern is pink and gold on a white background with the smallest touch of blue and has always made a beautiful table. 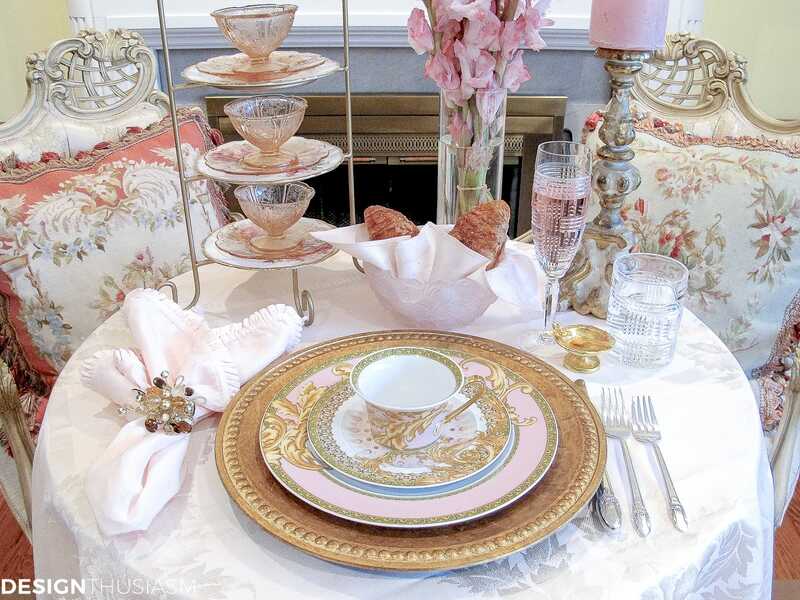 It is refreshing to see that there are still women today that enjoy fine China and the art of setting a nice table. I laughed at your story because I can completely understand that mistake. I wrote a post once about how I fell down the stairs holding a set of china, breaking most of it, and that freed me to start collecting mismatched china. If I can find the post I will come back and link it here. There’s no reason why inexpensive china can’t be beautiful too. But sometimes it is lovely to splurge, even if just a little… 😉 I hope you do use that lovely set from time to time! Oh, and Medusa Gala is stunning! This whole scene is gorgeous! Love that place setting in it’s pink and gold glory. Another idea for making dream china more affordable… Instead of going for the entire place setting – buy just two dinner plates and two salad plates, then mix them with a complementary pattern that is more affordable. You end up with a table for four, and everyone has a bit of the luxury china in their place setting. I was able to find two dinner plates and three salad plates one time on deep discount at HomeGoods. I mixed it with my plainer china for Easter and it was beautiful and fun. You can also buy fine china secondhand. I hear many ladies saying their children don’t want their China or crystal, and found that to be the case with my own girls. I inherited two sets of bone china from English relatives that was produced during the war years and given as wedding presents. I donated them to a Heritage Home that will sell them to raise money for upkeep. I often see beautiful china sets in our local thrift store, as well. I have to say the miniature bird bath is darling.